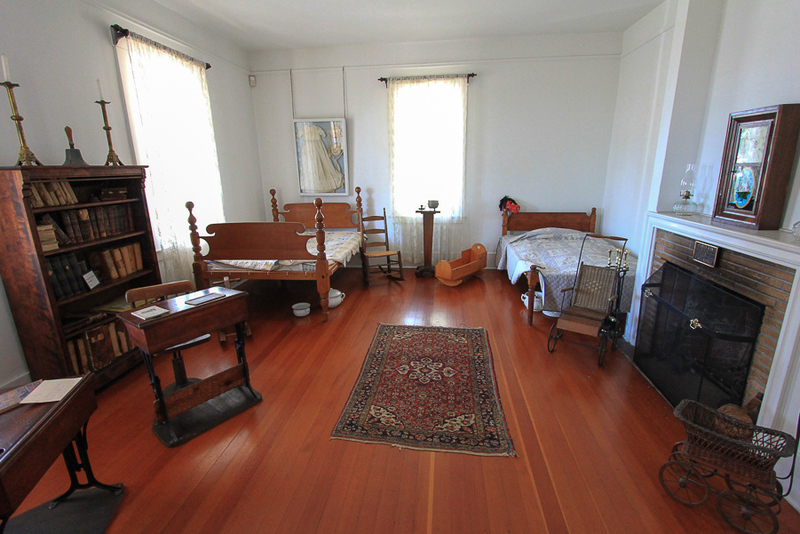 August 28, 2015 - Today we had a "spur of the moment" adventure to the John Rains House in Rancho Cucamonga. 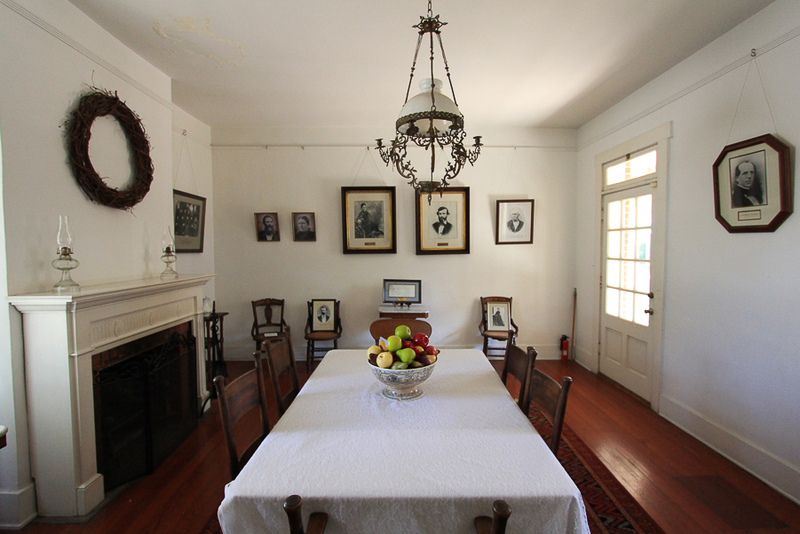 The house was built in 1860-61 after John Rains purchased the Rancho Cucamonga land grant in 1858. 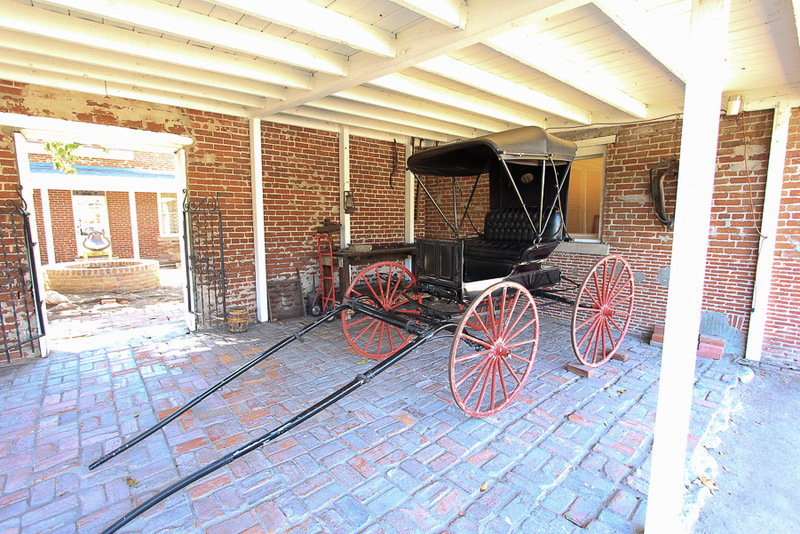 The brick house featured its own cooling system, which used ducts to send creek water under the house. 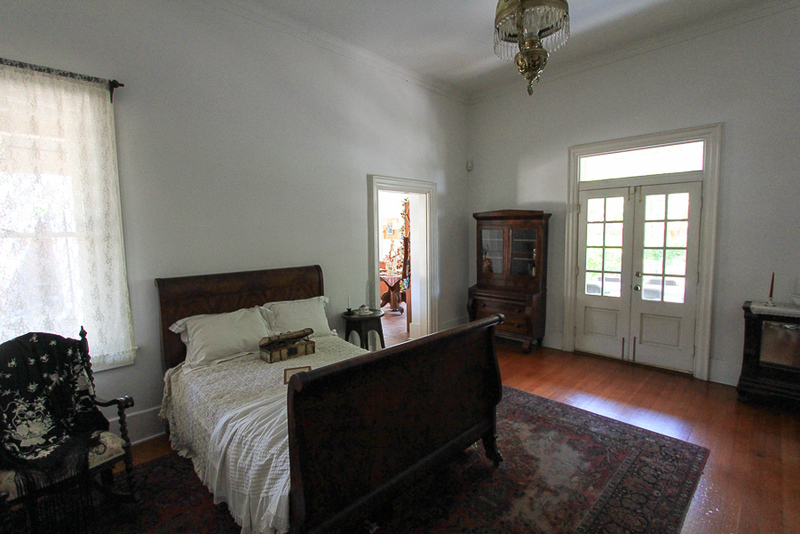 Unfortunately, John Rains was murdered in 1862 and several subsequent owners of this house were murdered as well! 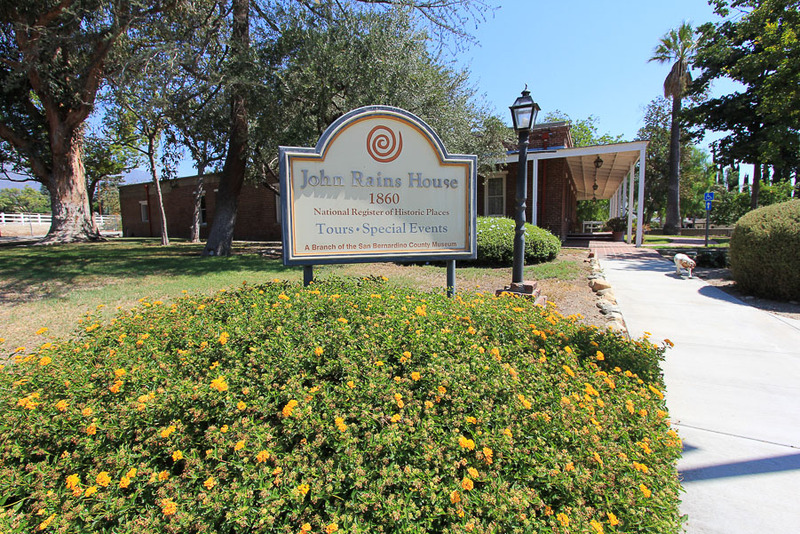 Over the last 50 years or so, the Rains House has taken on a reputation as being haunted. 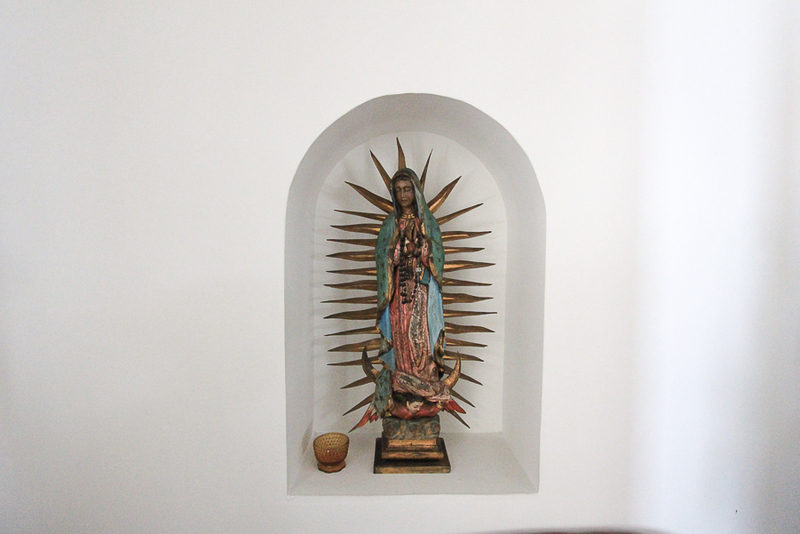 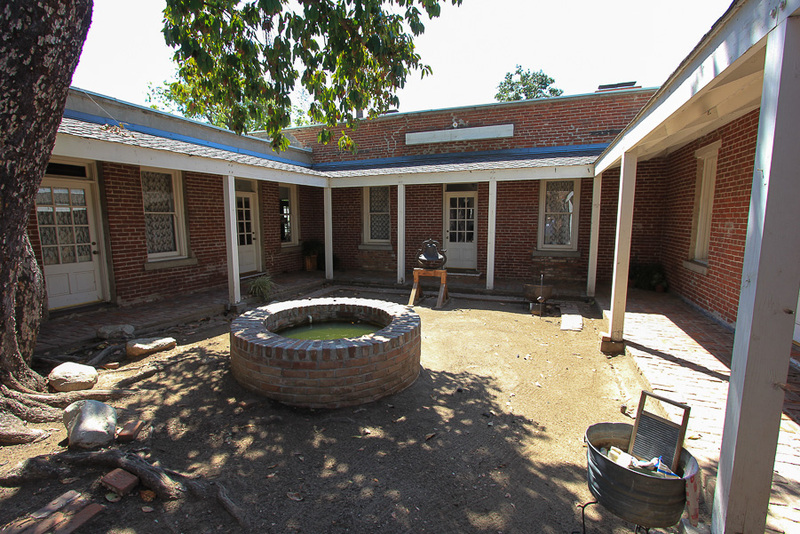 Its restoration and preservation has been ongoing since the house was purchased by San Bernardino County in 1971. 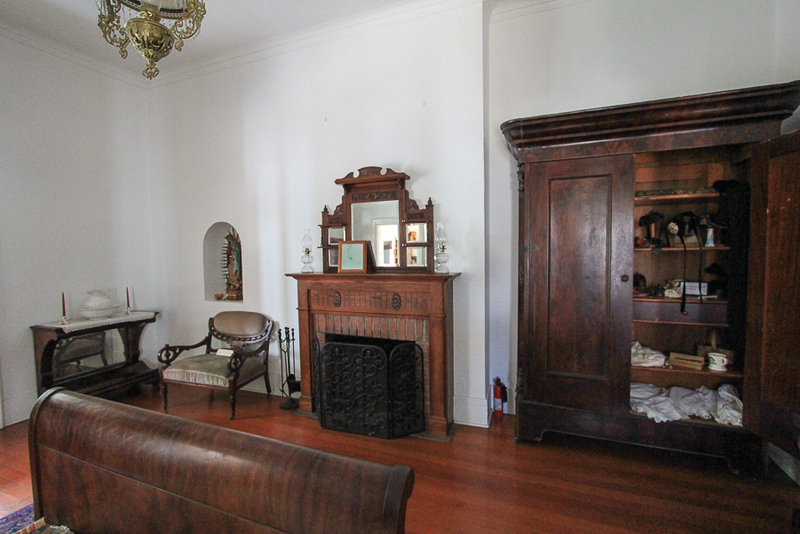 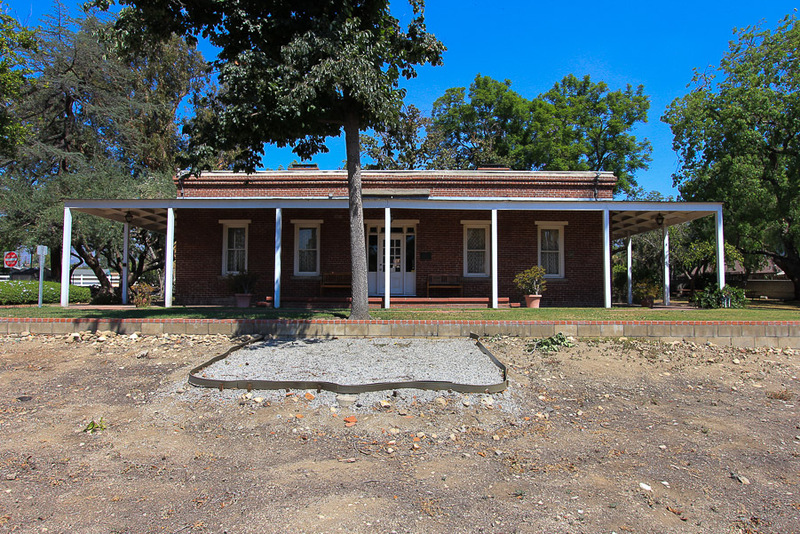 The Casa de Rancho Cucamonga Historical Society was organized to assist in the restoration, maintenance, and furnishing of the John Rains House in keeping with its 1860 origin. 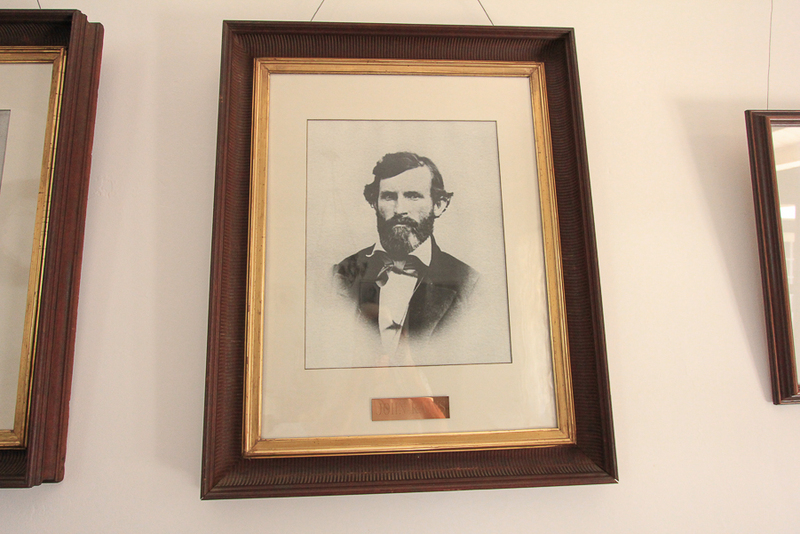 This is a photograph of the original "J.R.," John Rains. 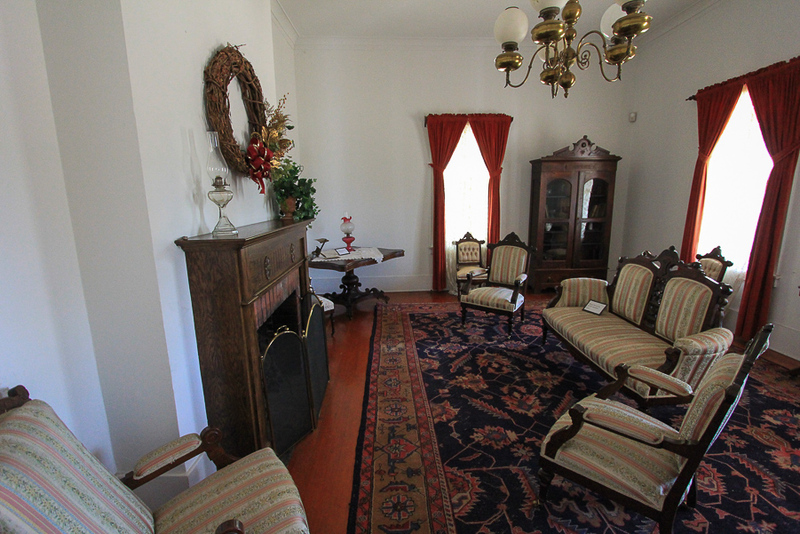 Only a few of the furnishings and artifacts on display were owned by the Rains family, but all are period pieces appropriate to the 1860's. 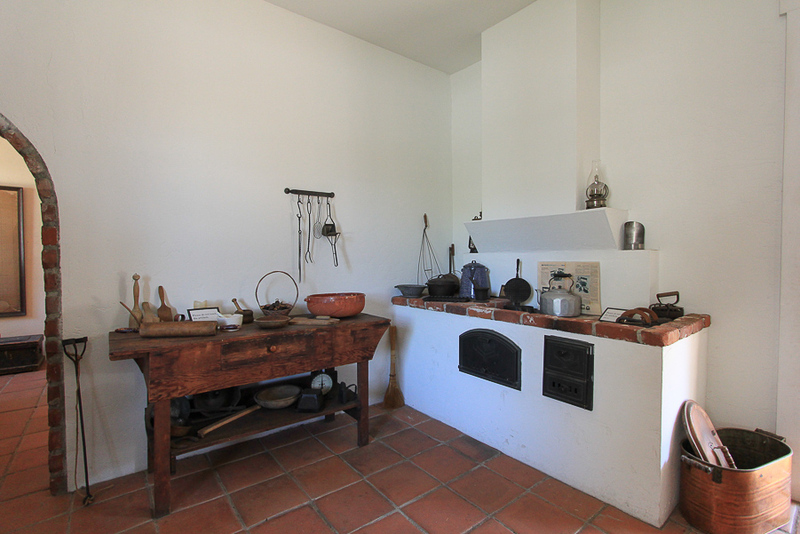 Had Rains lived, most of the evidence found indicated that he was to add a second story to the structure, but his life was cut short and his killer was never found.